A Sheriff's lieutenant in Maury County, Tennessee, has been reprimanded for firing his service handgun to scare away a turkey outside the department's detective division. 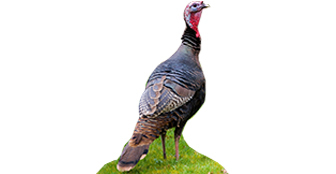 Lt. Andy Jackson said that a wild turkey was defecating on the hood of his department car and he fired his gun into the air to scare it off after other methods failed. Chief Deputy Nathan Johns, who handled Jackson's reprimand, said it was imposed because the lieutenant "Used his firearm outside his training. We don’t train to use our firearm to scare animals off of vehicles," Johns explained.